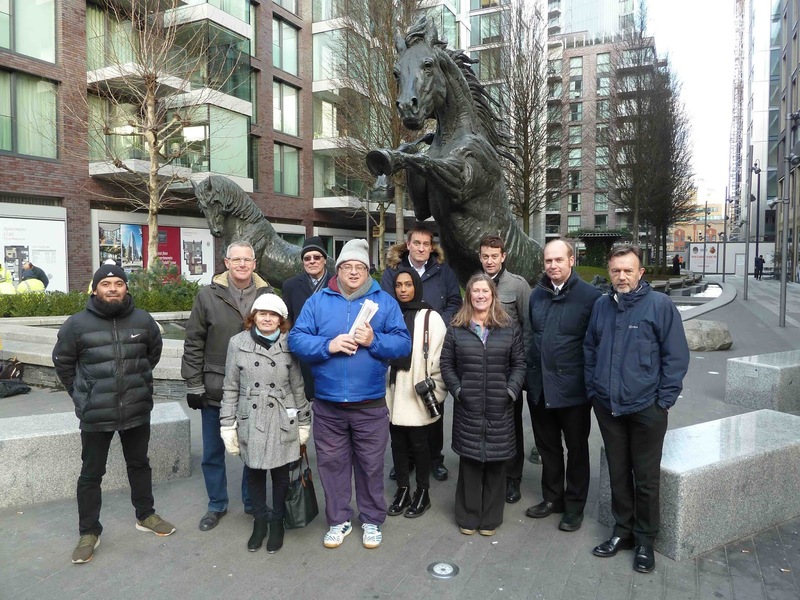 For our DLR walk this week we explored the area between Shadwell and Tower Gateway. We saw how the railway helped shape the neighbourhood, and witnessed at Goodman’s Fields – how the former goods yard is being re-worked into new developments. Along the way, we also encountered tea and wool warehouses, and galloping horses.